If the Irish language survives, it will be because of people like Liam Carson also who has dedicated so much of his time to bringing the Irish language and Irish language literature to the forefront of our cultural life providing us with comfort and a much needed sanctuary. Once upon a time…I was a reader, but not a reader of literature in Irish. I was a speaker of Irish, or a kind of Irish, having been brought up speaking the language in Belfast in the 1960s. My father had many books in Irish – the classic Gaeltacht memoirs and novels by writers such as Séamas Ó Grianna and Seosamh Mac Grianna, Maurice O’Sullivan, Peig Sayers, and Tomás Ó Criomhthain. I never read these books. For one, I didn’t feel my Irish was good enough to engage with them. For another, they didn’t seem to have much to do with the world in which I lived – in 1970s Belfast, my cultural reference points were Bob Dylan, The Doors, punk rock, and science fiction. English was urban and urbane, Irish was a harkening to a mythical rural idyll that never existed in the first place. Like many Irish schoolchildren I went to the Gaeltacht in the summer, and whilst we improved our Irish at morning classes, there was never any mention of poetry or literature, other than that which we encountered in wonderful songs like ‘Thíos cois na trá domh’. There would be occasional moments when what seemed to me like two disparate cultures would meet. I remember seeing the Donegal band Clannad in a theatre in Gaoth Dobhair. They came on to the stage, hippies with their long hair, jeans, waistjackets and began to sing ‘Níl sé ‘na Lá’. Here was a traditional song reworked, with modern jazz bass lines quivering under a folksy surface. It was magical. Years later, many years later, I became interested in Irish again – and through the medium of literature. On a visit to Donegal, I felt the language calling to me again. At the Oideas Gael bookshop, I bought a couple of poetry collections by Cathal Ó Searcaigh — and Sruth Teangacha/Stream of Tongues, by Gearóid MacLochlainn. This book shattered my ignorant notions of what existed within Irish literature. I realised what I had missed by not reading Irish. It is not the purely nostalgic literature I once imagined; it can be very much of the present. MacLochlainn writes about my home — west Belfast – and learnt much of his Irish from my father. I recognized myself and my city in his poems. Here were the soldiers, the helicopters, the sirens, the plastic bullets and the Molotov cocktails. Here were people listening to reggae poet Linton Kwesi Johnson, punk and rap. Here were people swimming between Irish and English. Cathal Ó Searcaigh combines a profound knowledge and love of his Donegal tradition — the poets and storytellers who came before him — with the sensibility of somebody who has read Kerouac, Ginsberg, Lorca and Cavafy. I learnt that some of the most engaged, innovative, and beautiful writing emerging from Ireland is in Irish. I became like a thirsty man, drinking from a long-forgotten well. Caithfear pilleadh arís ar na foinsí says Ó Searcaigh — we will have to return to the springs. And in this, we hear echoes of English poet Kathleen Raine’s mission of ‘defending ancient springs’. It wasn’t long before I was trawling second-hand bookshops for back issues of the wonderful poetry magazine INNTI, brilliantly edited by the mercurial Michael Davitt (whose book title gleann ar ghleann is surely a conscious nod to Bob Dylan). And what Dylan’s blonde on blonde was to the rock lyric, so INNTI was to Irish language poetry. It exploded the categories, crossed borderlines, broke the rules. I also discovered the dark and surreal work of Dáithí Ó Muirí, one of Ireland’s finest short story writers in any language. Ó Muirí sculpts language with consummate skill, fusing clean accessible lyric Irish with the hipster prose of modern rock journalism. He work carries the influence of fantasy writers such as Ray Bradbury and JG Ballard. This is Irish magical realism, a literature that exists in the context of Borges as much as Máirtín Ó Cadhain. But within his alienated landscapes, there exist potent reminders of the world we know. In ‘Cogadh’ (War) we find the fear of the other that lies at the heart of war. His imaginary citizens erect a wall to protect themselves from attack – and immediately the reader is reminded of the twenty or so ironically named ‘peace lines’ that still separate catholic and protestant communities in Belfast; or of the ‘security wall’ that the state of Israel has built around the Palestinian territories. In many of his stories, the background is replete with televisions pumping out the news of a tireless vaguely defined conflict that echoes the ‘war on terror’. African immigrants ‘éalú ón gcruatan thall, bochtanas, gorta, foréigean’ (flee from distant hardship, poverty, famine, violence). This is Irish literature which is simultaneously global. 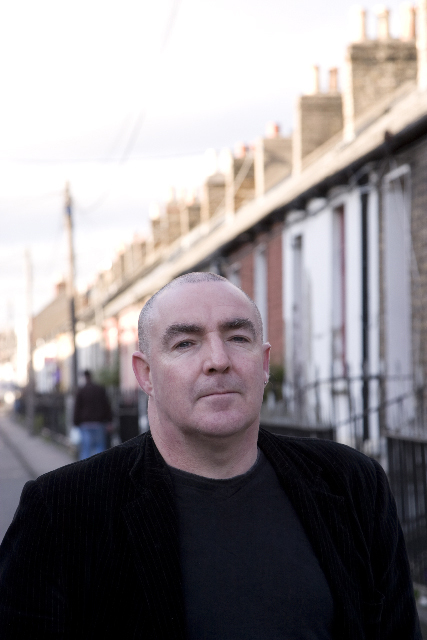 Irish cultural commentator Diarmuid Ó Giolláin recently put forward the provocative proposition that traditional folklore might find a rebirth in a post-modern culture where the grand narratives of the 20th century novel are in retreat, and where ‘little local stories’ (‘scéalta beaga aitiúla’) have been re-invested with value. In Irish literature, these ‘little stories’ have recently found potent expression in Alan Titley’s delightful Leabhar Nora Ní Anluain. On the one hand, it is utterly Gaelic, and takes as its model or framework classic collections of traditional folk narratives such as Leabhar Sheáin Í Chonaill – and some have also compared it to Boccaccio’s The Decameron. On the other hand, it is a book utterly of our time, with a subversive critique of global neo-liberalism and all forms of colonialism at its heart. But it is not enough for a literature to exist. A literature needs readers. Writers need readers, listeners, they need a platform on which to sing their songs. In 2004, with the assistance of Poetry Ireland, I set out to create the IMRAM Irish Language Literature Festival. It was co-founder poet Gabriel Rosenstock who named the festival IMRAM – a ‘voyage of discovery’. It means constantly finding new ways in which to frame Irish language literature – through eclectic and imaginative event programming that fuses poetry, prose and music. IMRAM has also featured film, drama, puppetry, debates, lectures, and writing workshops for both adults and children. IMRAM’s core mission is to bring writers and readers – and particularly new readers – together. IMRAM’s message is positive – and places the Irish language and its literature at the heart of public life within a modern, energetic and multicultural framework. IMRAM believes that it is crucial to place Irish language literature in an international context. Irish language writers do not exist in some strange Gaelic ghetto cut off from the rest of the world. It is impossible to imagine Nuala Ní Dhomhnaill’s poetry without the influence of John Berryman or of Marina Tsvetaeva. And it’s worth noting that her poem ‘Dubh’ (Black) is an impassioned cri-de-coeur response to the tragic fall of Srebrenica in 1995, during which Serbian forces under the command of the notorious General Ratko Mladic slaughtered eight thousand Bosnian men and boys in the single worst act of genocide on European soil since the Second World War. For IMRAM, the trick is to find the points where literatures and cultures meet. For me, it was obvious that Bob Dylan should be translated into Irish. His songs draw on a tradition with Gaelic roots, they have traditional themes, airs and lyrics that lend themselves perfectly to translation to Irish. In Gabriel Rosenstock’s hands, these lyrics were not just translated, they were transmuted, as if by a process of literary alchemy. Thus the questioning ‘how does it feel’ of Dylan’s original becomes a demand to simply tell one’s story – ‘mínigh an scéal’. Or in Dublin parlance, ‘what’s the story?’, Dylan’s ‘like a complete unknown’ becomes ‘i do bhard gan dán’ – a poet without a poem. Thus storytelling and poetry become the core of Dylan’s torrent of language. Creative and themed events are at the heart of IMRAM’s mission. We believe that literature must engage with othe art forms – music, visual arts, dance, drama. In 2009, IMRAM staged The Riverrun Project, a bli-lingual poetic and sonic voyage through modern and historical Dublin. This featured specially commissioned work by Biddy Jenkinson, Dermot Bolger, Liam Ó Muirthile and Máighréad Medbh, performed to original music and sound effects created by Seán Mac Erlaine. Graphic artist Margaret Lonergan created on-screen projections, showing a mesmerising series of often quite beautiful images of modern Dublin, carefully selected to match the poems being read. In 2010, IMRAM transformed experimental poet Séamas Cain’s book tríd an gcoill was transformed into a sonic and visual installation by sound artist Slavek Kwi, and staged in City Arts over five days. Slavek Kwi fused Cain’s recital of the poem with a sound-track of sounds gathered in Dromore Wood in County Clare; in addition hundreds of still images and film-clips were used, both on a large screen and on a small screen within a ‘speaker-tree’. In conjunction with the Goethe Institute and Poetry Ireland – IMRAM and the Dublin Writers Festival also staged Orpheus Sings a tri-lingual celebration of Rainer Maria Rilke. Peter Jankowski read the original German texts. Celia de Fréine read her sparkling Irish versions of Rilke, along with selections from Máire Mhac an tSaoi’s translations of Duino Elegies and Valentin Iremonger’s translation of The Life of Mary. Eva Bourke read fresh new English versions of Rilke, including selections from his earlier work and from New Poems. The poets were read to musical from harpist Cormac de Barra, and artist Margaret Lonergan created on-screen projections of photos and art celebrating Rilke’s life. IMRAM staged La nuit est ma femme at the 2013 Dublin Writers Festival – a literary exploration of Kerouac’s relationship to French, to Catholicism and Buddhism; of his bi-lingual identity; and of his fraught relationship with America. The selections drew on poems, haiku and novels. Two writers – Gabriel Rosenstock and Gearóid Mac Lochlainn – both translated and responded to Kerouac’s work. The texts were read to improvised jazz accompaniment by The Dirty Jazz Band and on-screen projections created by Margaret Lonergan. This event saw a capacity crowd (the majority students in their twenties) in the Workman’s Club. Liam Carson was born in Belfast, and is the author of Call Mother a Lonely Field, published by Hag’s Head Press and Seren Books. He is the director of the IMRAM Irish Language Literature Festival, which he founded in 2004.